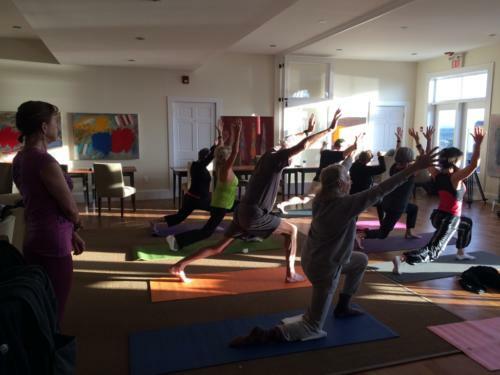 Come All Ye – A 5-day singing vacation! 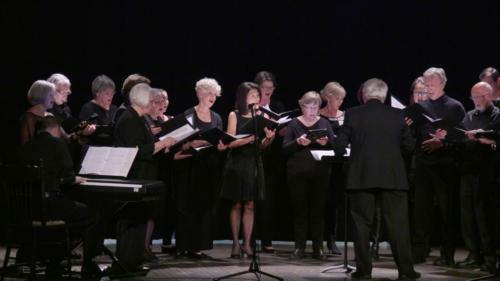 Come All Ye is a one-of-a-kind singing experience. 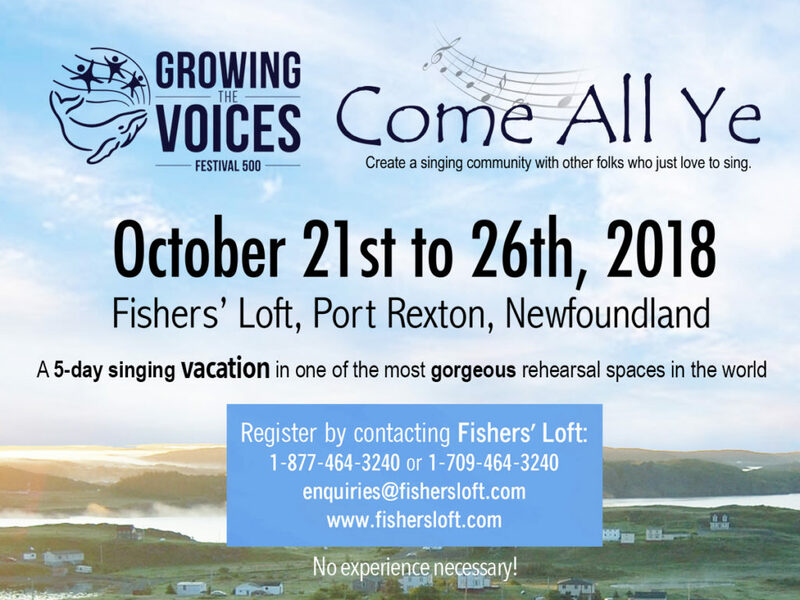 On the edge of the rugged North Atlantic, in the province of Newfoundland and Labrador, you will spend 5 days singing (and laughing) and become a choir. On your last evening, you will perform together in front of a live, and enthusiastic, audience. 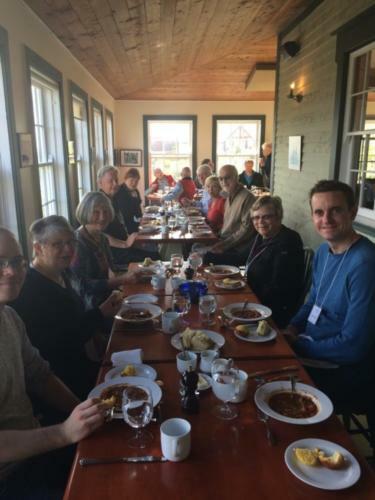 While singing is central to your experience, there is plenty of the time to explore and enjoy Port Rexton, Trinity, and surrounding areas. 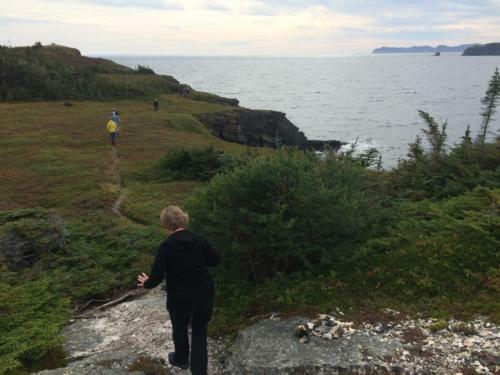 There will also be an opportunity to explore the town of Bonavista on the day of the performance. Your inner foodie will also be delighted by cuisine foraged from local gardens, the ocean, meadows, and the forest. Everyone is welcome and no singing (or hiking) skill-level is required. Come excited to sing and leave the rest in our expert facilitator’s hands. 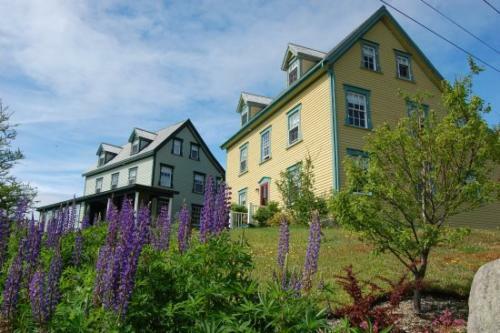 All of this, and more is located just 3 hours from the capital city of St. John’s at Fishers’ Loft in Port Rexton, NL.